January 2014 Budget Roundup = $218,737.65 or an increase of +$1462.48 or +0.67% | Save. Spend. Splurge. So apparently it’s going to be kind of a rocky year for everyone, but if I am willing to work hard I will be able to make a lot of money this year. (Or so my Chinese horoscope says). Last year was awful (Year of the Snake). I initially wanted a buffer of at least a year, posting 3 times a week. I have almost 300 posts scheduled, as in ready to go. This takes me up to around March 2016, posting 3 times a week (in some weeks, 4 times). Drafts? 153 as of today. I’ve been whittling it down from over 200 drafts, and they all either need to get Scheduled or Trashed. Jessica of Mo Money Mo Houses asked me the other day when we met up just how I came up with all those posts, and honestly.. I can’t tell you how. They just kind of happen. My brain clicks on and suddenly scheduled posts spew out onto the blog. UPDATE: That image was from the day before. The very next day, I powered through my drafts and scheduled a few more. Scheduled an additional 33 posts. DOES ANYONE ELSE THINK CAR INSURANCE IS A BIT OF A SCAM? Purely an Ontarian rant, but I can’t believe people pay $300 – $500 a month on car insurance and you don’t even have an option of super basic car insurance like in Quebec. When I had my beater car before I donated it to charity, I paid about $300 a year for super basic car insurance just to cover fire and theft. Even if I upped the ante to get something more substantial, it would not come close to $300 a month. $300 a YEAR or $25/month. (Okay if you must know, it was even lower than that at $240/month but I was trying not to make any Ontarians feel even worse). A guy I know here in Ontario pays $300 a month for pretty much the same car I had, but he has no option of something super basic, so he basically pays more in insurance than his car is worth. Then again, the way Torontonians drive, I thought Montrealers were bad, but they’re actually quite careful and reasonable versus the way some of these damn foos drive here. Torontonians have a consistent problem with not checking before turning right on a red (something that they should outlaw in Toronto as they did in Montreal), as well as driving way too fast and cutting people off or being impatient for no real, solid reason. Maybe that’s why car insurance is so much lower in Quebec. No one wants to get into an accident the way Torontoians seem to have a death wish for. I sold a stock and that accounts for almost all of that amount. The rest of the income is finding money on the floor, credit card “cash back” rewards which don’t pay out until the end of the year, and only $80 of it was from actual blog income. As a wise woman once told me: Sometimes you just have to take the money and run. 39.62% is a respectable return on a stock for capital gains, and I also collected dividends in the meantime. I had made a note early January to watch the stock like a hawk because I just had a nagging instinct that I should sell it and seeing as I should really trust my gut more often, I am acting on it this time. (Funny story, I had a second gut feeling I should have bought Blackberry BBRY stock in December when it plunged, but I didn’t. This was partly because I didn’t have available CAD to do so and partly because I was exhausted by this stock. Anyway back to Bank of America — lot of pundits are saying it could go up to $20 – $40 a stock, but frankly I am okay with the return I got, even if it does go up to $40 a stock in the next few years. My plans for the money? Aside from making a note that I will have to pay taxes on 50% of my capital gains, I’m going to sit on this cache of USD (get it? cache.. cash!) and convert it to CAD because I am seeing a nice downward trend and expect the Canadian dollar to dip to $0.80 pending the outcome of the U.S. Federal Reserve decision. Half will go into my TFSA because in 2012 I had a SNAFU with my registered retirement savings (my TFSA) with a bank not properly recording my withdrawals, so I need about $10,000 CAD on hand to top up my TFSA account. The other half I will keep as USD on hand to see if there are any interesting purchases but more than likely I will funnel it into Vanguard index funds, concentrating on Canada and International indexes this time (I have a lot of money in the U.S. index fund already). Click on any image below to embiggen. I thought we were REALLY done with Household Equipment spending but he just keeps finding more stuff to buy for the kitchen. They’re all practical uses (we really do need another small pot because one is not enough), but still! I was really trying to stay under $1000 this month and I was SO SOOOOOO DARN CLOSE!!!!!!!!!!! All practical categories here folks. TAKE A LOOK-SEE! This is not a trick…! We had a voucher at Williams-Sonoma for $90 to use towards something. We had wanted to buy the Vitamix 300 but they apparently don’t give discounts (it’s a bloody $600 machine! ), so we decided NOT to buy the darn blender and bought a pot instead, paying about $46 for something at retail that would have been $150. Food, diaper liners, you name it. We’ve been stocking up on essentials, including chicken (he pre-cooked some food and froze it for me to eat during this month). I upgraded my internet plan to Unlimited at an additional cost of $10 a month or $120/year; a cost I am taking solely on my shoulders because no one else in my family uses as much as I do. Once we leave for Montreal however, I will no longer have to pay this (the hotel has unlimited internet). Considering a good chunk of my “income” this month is mostly just capital gains (which means I just shift the money into registered accounts), I still managed to go up in net worth, no small part due to the Canadian dollar tanking. I have about 57% of my entire net worth in USD and I am not adverse to waiting for the CAD to drop to $0.80 to convert it and lock in some currency gains (woo hoo! 20%!). I won’t convert ALL my USD into CAD, but I could bring it down to maybe 30% held in USD. Almost back up to my peak from May 2013. Not to shabby considering I haven’t worked. 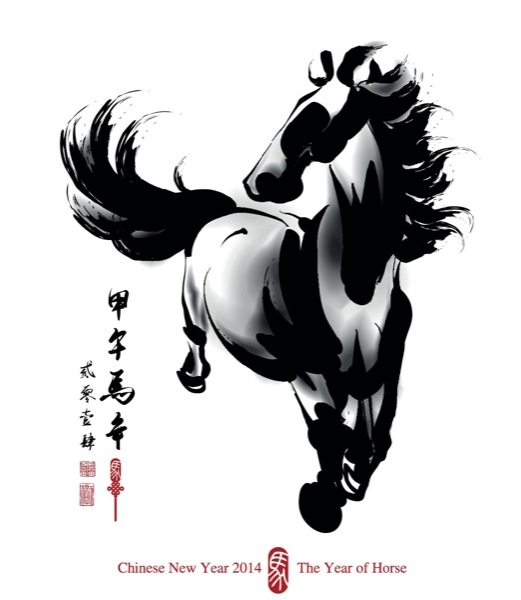 Also, my Chinese horoscope for 2014 The Year of the Horse tells me that this is a bad year to dabble in stocks (I will lose a lot of money apparently), and this is my year to really make money if I am willing to work hard. Now that BAC (Bank of America) is gone, I have lost that ~2% yield in dividends, but gained a sense of relief because I wanted to divest the stock after locking in some gains, and now it’s sitting at around $16.73 as we speak (I let it go at $16.83). Anyway, I also have these dividends on a DRIP (Dividend Reinvestment Plan), so I am not receiving any of this money in cash per se. So far, a nice start to the year. Ever wonder how your country / city compares worldwide in terms of cost of living? Got featured on Rockstar Finance with my post on How to get out of debt in 10 steps!! Liquid and Suburban Finance really liked my post on how to pick an index fund. Urban Departures liked my post on the most expensive cities to live in the world. 2 Ringgit’s Worth did a good 2013 roundup and included my Ideal Household Spending Budget in there. NO RETAIL SHOPPING UNTIL BLACK FRIDAY / BOXING DAY.. ARE YOU IN? So my new challenge for 2014 is no retail shopping. It’s not a goal it’s just to see if I have any willpower. Single Ma (my partner in crime), and Nest and Grow is! As the bump gets heavier and bigger, this is kind of all I am thinking about. I’m also having some really vivid, able-to-recall-them-even-hours-later dreams. ← How much money does it take to become a top-tier fashion blogger? How much money do fashion bloggers make? I can’t believe you have so many drafts! That’s freaking amazing, and makes me feel like a total slacker. And yes, even in the US car insurance feels like a scam. I don’t know how my rates keep going up even if I don’t have an accident… A good business to be in, I guess. Love your Baby Tracker page! Thanks for taking the time to post all that info. My wife and I are due with our first in April 2014. It is helpful to see real numbers from someone who is ahead of us. Also, we switched to Geico car insurance because our other insurance company tried to nearly double our monthly rate. I was not happy. Geico rocks! Our new policy with Geico is way less than the other company, even before they tried to double our rates. My wife and I started posting our budget/networth. Thanks for leading the way and making us feel not so alone. J money has the numbers as well but for Americans. Mine is a Canadian one if that helps. At any rate, I’ve been trying to not spend a lot of money on the baby while still keeping in line with my principles.. I’m fairly sure I could have spent less (maybe $2000 in total?) had I gone to Dollarama or not wanted to buy organic anything but as I said.. those darn principles!! As for leading the way, you can always check out my net worth page where I listed the past 2 years (so far). @save. spend. splurge. : I saw J.Money’s baby numbers. My wife and I are spending very little so far. We have been given almost everything we need! I will check out your other net worth page. Thanks again. Pretty amazing that you have so many posts ready to go. I really wish I had that many stored up or that I had the discipline to write that many. I started my blog a few months before the baby came…and now my excuse is that I don’t have any time =) I should have had 150 posts ready to go too! Hope everything is going well! @Andrew@LivingRichCheaply: Well starting a new baby (blog) before a real baby is normally not recommended 😉 I had about a year to plan for these posts!! I pay $158/month in car insurance for 3 cars! I am in the US so not sure if that makes a difference? Costco offers the older 5200 online but what they sell in the stores when Vitamix does their roadshows is the 6300 and that is the same as the Vitamix Professional 500 which to my knowledge is not an outdated model though it has been around for a while, it isn’t the “next generation”. The 300 has the nice shorter container though. That $300 car insurance price smells of a few things, age, driving record and type of car. Sometimes a pretty pedestrian car has a very high theft rate and none of us know it, but it dramatically affects the cost of insurance. By contrast, I pay $1800/yr or so for a car that was $36K new in 2012. Being young and male is very expensive in Ontario for car insurance. He’s a guy, with a wife and 3 kids. One is a male teen I think so he might have 3 people on this insurance amount as well. He is also a new immigrant (no record, or driving record in Canada).. and that’s about it. The car he got was a family minivan.. used I believe. PS, I don’t get car insurance. Mine is now $75 per month, and I’m super happy about it. It used to be about $120… still nowhere near the $300 mark! That being said, my sister-in-law didn’t get her licence until she was 32 or so. Now at 37, and an accident or two, she pays about $300 per month. I think a lot of it has to do with length of time being insured, and your claims record. $75 a month seems reasonable I think.. but I’m still gawking at the number because I was paying $25/month and that was as a new female driver with no driving record and I never had car insurance before. I didn’t even get my full license or start driving until I turned 25 or something like that. No claims either.. but very, very new. No retail shopping until Black Friday is a big goal. I don’t think I can join you on it — though I am super proud to say I haven’t bought ANY clothes yet in 2014 so far, so I’m off to a really good start! @Bridget: Hey you might even end up doing it without knowing it. I’m doing good so far! I’m not going back to work until September, and my top-up is about to run out, so my chances for making lots of money this year will be slim, for the time being anyway. I may have to join you on that non-shopping challenge after all. Sigh. Are you still going to do your “watched, read, bought” posts? Yes i am still doing my watched, read and bought posts. I am still thrifting 🙂 I also got a gift this January as well which I was pleasantly surprised about. If i can’t post anything I bought I’ll post what i WANTED to buy 😀 Good enough. Does the Ontario guy who pays $300 per month for car insurance have a bad driving record. That seems rather high. Mine is $140 and that is for myself and my son who is listed as an occasional driver. I was stuck with a higher priced provider because I had teenage boys but now they are in their 20s I can move to a less expensive provider. No he doesn’t. It’s perplexing.. but he’s a foreigner, he just came from Europe. $140 a month seems more reasonable but maybe it depends on the make of your car? I have no idea why he’s paying so much, although he has 3 kids (1 teen) and a wife on the same insurance. I am in shock and awe at your 300+ scheduled posts. WOW. Have you ever though about writing a book? Personal finance or any other subject. The Vitamix in Costco is not the same Vitamix in stores 🙂 It’s the old version that they’re trying to get rid of with the kind of awkward design. The Vitamix I want is the newest Vitamix 300 version in Williams-Sonoma and in the U.S. it goes for $500 USD.